The Pernod Absinthe Recette Traditionelle is the closest possible recreation of the famous Pernod Absinthe from 1805. A must have Absinthe for every Absintheur. Henri Louis Pernod, the founder of the Pernod company, originally bought a recipe for a herbal elixir. He thought that it would be a good idea to market this elixir as a regular spirit. He started a minor production run, supplied the French Army with rations of his "healthy" spirit and the success story of the Green Fairy began. This true story is over 200 years old, but it is the start of Absinthe and its related culture. 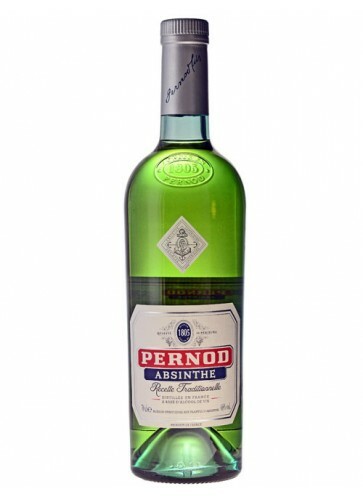 This contemporary Pernod Absinthe is the closest possible recreation of the famous Pernod Absinthe from 1805. 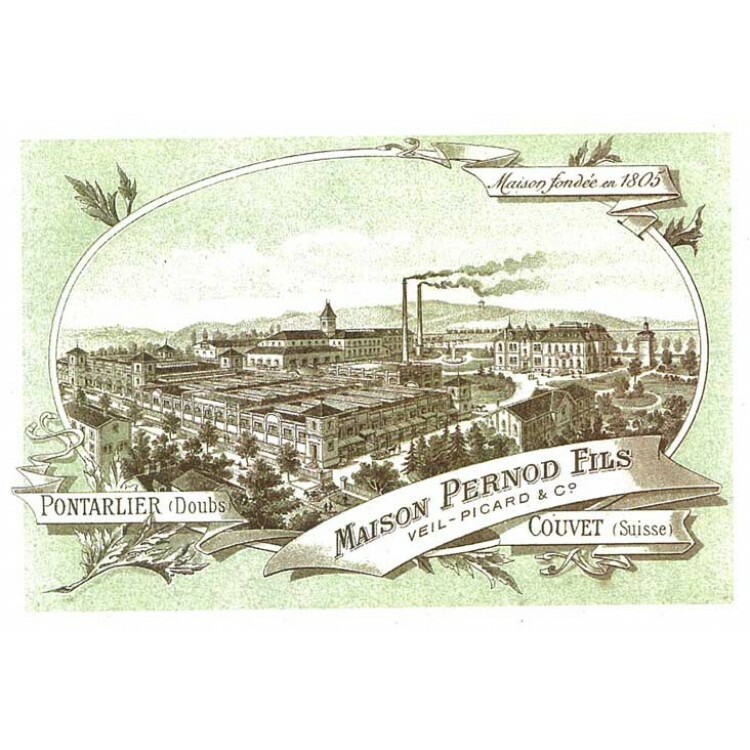 Wormwood and green anise from Pontarlier is used for distillation - like decades ago when Pernod had a major production facility in this small French city. The mandatory Absinthe herbs are distilled in a wine base alcohol and the "heart cut" of the distillate is macerated again in an aromatic composition of star anise, melissa, petit wormwood, hyssop and other secret plants and seeds that give this Absinthe its´ beautiful green color. 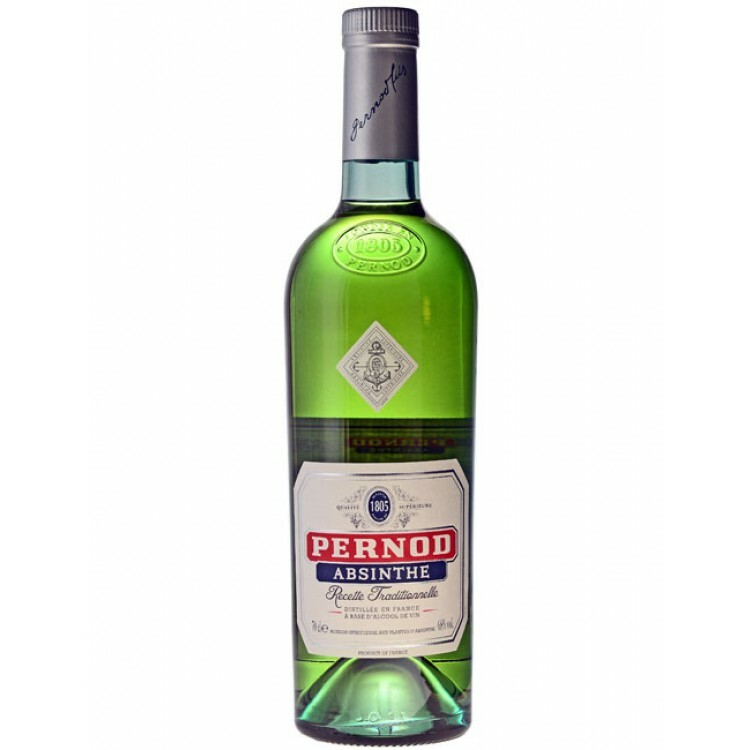 The Pernod Absinthe we sell is the new Recette Traditionelle. New, because Pernod sold for some years a mediocre Absinthe. The new version is much closer to the historical original and way better in quality. It must be understood. The taste is bitter, as you would expect from an absinth, but it is rough. Persistent and bitter aftertaste. One of the first to taste, no doubt. I'd consider it a version of the Pernod d'Anis liqueur with some funny side-taste added and with less sugar. The mouth-feel is very thin, and the taste is nothing like real absinthe, apart from the taste of (star) anise. The bitterish side-taste became worse with every sip and the whole thing became disgusting by the end of the glass. I'd give no more than 2 stars even when considered simply as pastis, anise aperitif or anything else. I liked even Pernod d'Anis much better. The pernod absinthe is comparable with pernod pastis. It has some akward steel like taste to it, maybe due to the anise and the louche is not as creamy as swiss style absinthes. This is a very heavy absinthe, i think it's balance is not so good. It's like they just added wormwood to the pernod pastis. When Edouard pernod founded his company the absinthe was very good, as the company grew, (this was when the company changed the name to pernod fils) the quality of the absinthe went downwards but was still good. 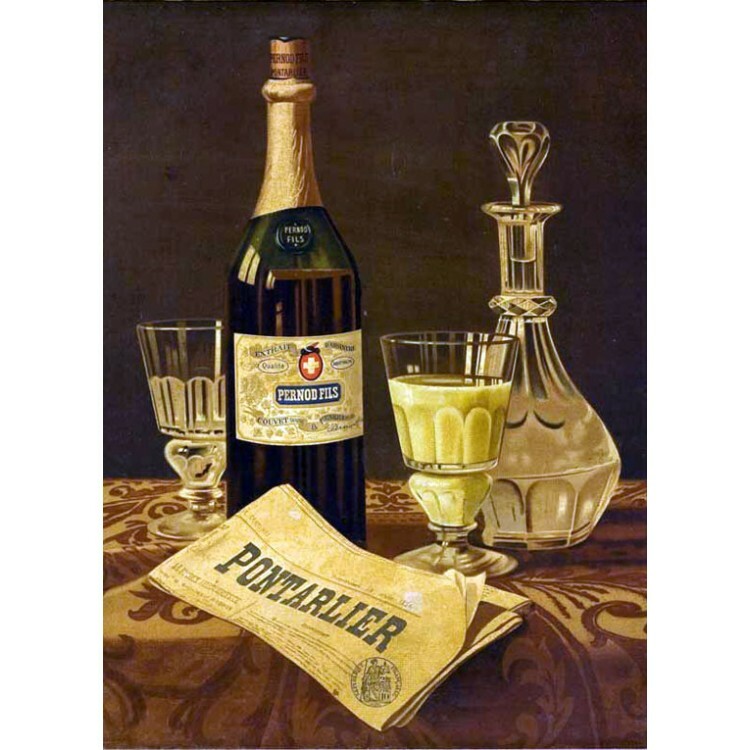 Then suddenly absinthe was banned but not in Spain, so Pernod continued their production until 1950 they stopped making absinthe. The modern absinthe is comparable with the spanish production, but in my opinion this absinthe could have been much better. It would be so nice if Pernod would make an accurate Edouard Pernod remake in small quantities special for the luxury absinthe market. all connoiseurs would be thrilled, for now they are all dissapointed. The taste is good, the louche is thick white foggy with a green accent in a 1 - to - 4, Pernod to Water ratio. I don't use sugar, as I believe it detracts from the real taste of absinthe. That being said, I do not consider this to be a worthwhile absinthe. While the taste is good compared to other products with the same alcohol content, there is virtually no secondary effect. The thujone level is almost non-existent. Louis Pernod would be ashamed had he lived to see this herasy be mentioned as an absinthe!